SKU: 85535. Listed in: Costumes, Costumes Adult, Female, Halloween. Tags: costume, enchantress, evil, female, maleficent, purchase. Evil Enchantress Costume. 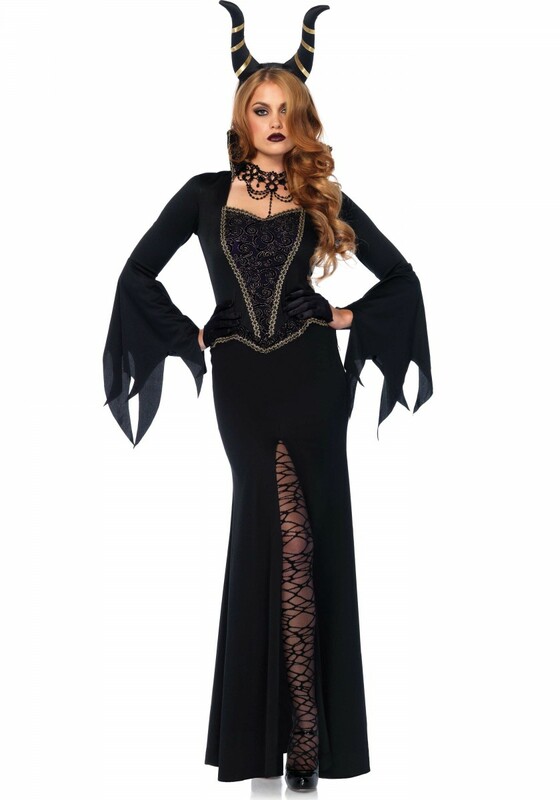 Our striking Maleficent inspired outfit makes an ideal alternative Disney or Halloween costume and includes long fitted dress with high slit, flared zig zag sleeves and glitter scroll bodice. The instantly recognised gold trimmed plush horned head piece completes the set. Made by Leg Avenue.